A story from the Guardian from back in October noted that the supermarket chain said it will pay for students’ university fees if they enrol on a degree course it is sponsoring. Morrisons is to fund 20 undergraduates a year on a three-year degree course in business and management. The supermarket admits the course will leave little time for the recreational side of university life. Students will not take university holidays, but will have an annual leave allowance. They will receive £15,000 a year and will not have to pay their tuition fees of £3,290 a year. The students are also guaranteed a job once they graduate and must work for Morrisons for at least three years. 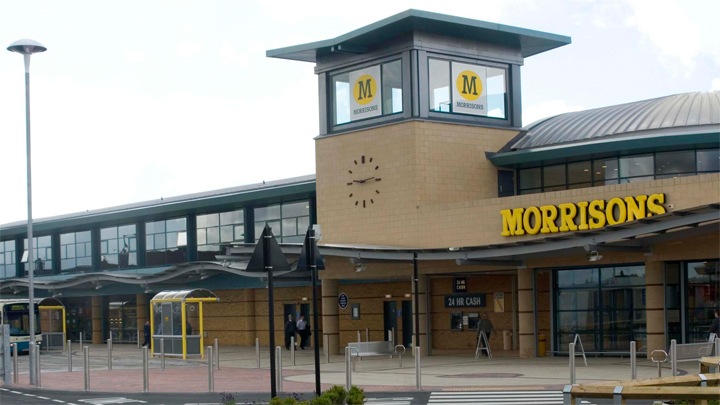 Teenagers apply through Morrisons rather than Ucas, the centralised system for all university applications in the UK. Morrisons is not quite the first retailer to offer a degree: in June Harrods announced it was to offer two-year degrees in sales with Anglia Ruskin University. A week ago GlaxoSmithKline announced it would sponsor a module on University of Nottingham chemistry degrees – the first collaboration of its kind between a pharmaceutical company and a university. Tesco sponsors a pre-degree foundation course in retail with Manchester Metropolitan University and University of the Arts London. An earlier post commented on the Harrods development along with a Wal-Mart programme in the USA. Following the Browne review outcomes we can expect more of this. As the world’s largest retailer weighed its options for making a big splash in education, executives told one potential academic partner that Wal-Mart Stores was considering buying a university or starting its own. “Wal-Mart U.” never happened. Instead, the retailer chose a third option: a landmark alliance that will make a little-known for-profit institution, American Public University, the favored online-education provider to Wal-Mart’s 1.4 million workers in the United States. A closer look at the deal announced this month shows how American Public slashed its prices and adapted its curriculum to snare a corporate client that could transform its business. It also raises one basic question: Is this a good bargain for students? The theme of cut-price degrees has been continued by the present Government’s Universities Secretary, David Willetts. Earlier this month he called for students to be able to study online or through their local further education college, while still being enrolled on degree courses run by the country’s most successful universities. The Harrods students, while studying at the store, will be members of Anglia Ruskin University. They will complete what would normally be a three-year BA (Hons) degree in two years, by studying through the summer holidays as well as university term-time. On the agenda will be theoretical modules in human behaviour, psychology and business enterprise, devised to deepen the students’ sales skills and effectiveness. It’s tough competition (via The Independent).